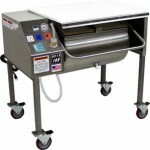 Daniel’s Food Equipment handles meat mixing, meat mincing, meat grinding, vacuum tumblers and vacuum marinators, meat massaging, sausage stuffing, food handling, meat and salad mixing, and custom stainless steel products. 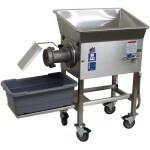 We are the preferred supplier of food processing equipment and food service equipment in commercial kitchens and food processing facilities such as delis, bakeries, grocery stores, restaurants, locker plants, and for serious hunters. 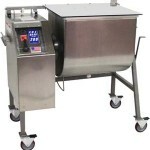 Daniel’s Food Equipment is known for high quality stainless steel manufacturing and the best warranty in the business. 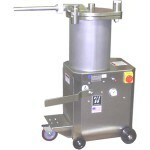 DFE manufactures equipment such as mixers, grinders, sausage stuffers, tumblers and mixer-grinders. 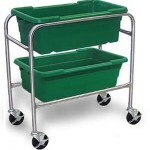 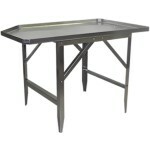 We also manufacture accessories such as stainless steel utility carts, tables, tub dollies, smoke sticks and more.